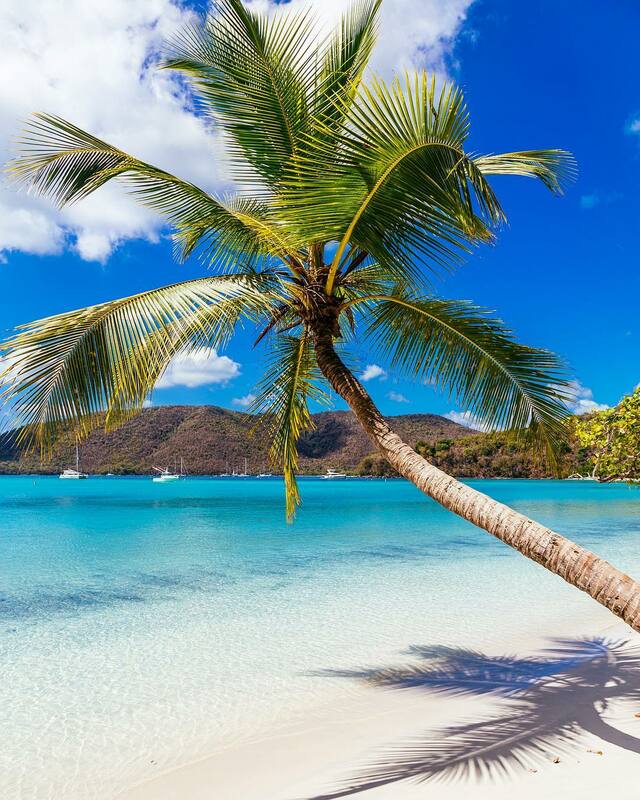 As some of the top places to visit in the Caribbean, the British Virgin Islands and U.S. Virgin Islands are our most popular yacht charter destination. Their picture-perfect white sand beaches, crystal-clear blue water, and intricate coral reef systems make them the perfect sailing destinations for a memorable yacht vacation. Although the BVI and USVI have pleasant weather year round, there are certain conditions to take note of. June-November is hurricane season for the Caribbean, although most hurricanes and tropical storms come between September and October. However, this is why the BVI and USVI are primarily a winter or spring sailing destination. Peak season is actually from December to July, when winds and temperatures are most pleasant. As an archipelago, the tradewinds here are excellent for sailing since most travel is done within the islands. The BVI and USVI are also a lot closer than many of our other island destinations, with travel times often under an hour. That means more beach time, party time, or relaxation time. However, if you’d like more time out on the open water, we can always accommodate your preferences. Whichever locations you decide to add to your BVI and USVI yacht charter itinerary there are plenty of exciting things to do on every island. Approximate Travel Time on an 8 Knot Sailing Yacht or Catamaran: 45 min. Approximate Travel Time on a 20 Knot (fast) Motor Yacht: 15 min. Trunk Bay, St. John. Photo by @hanhanbvi. Used with permission. 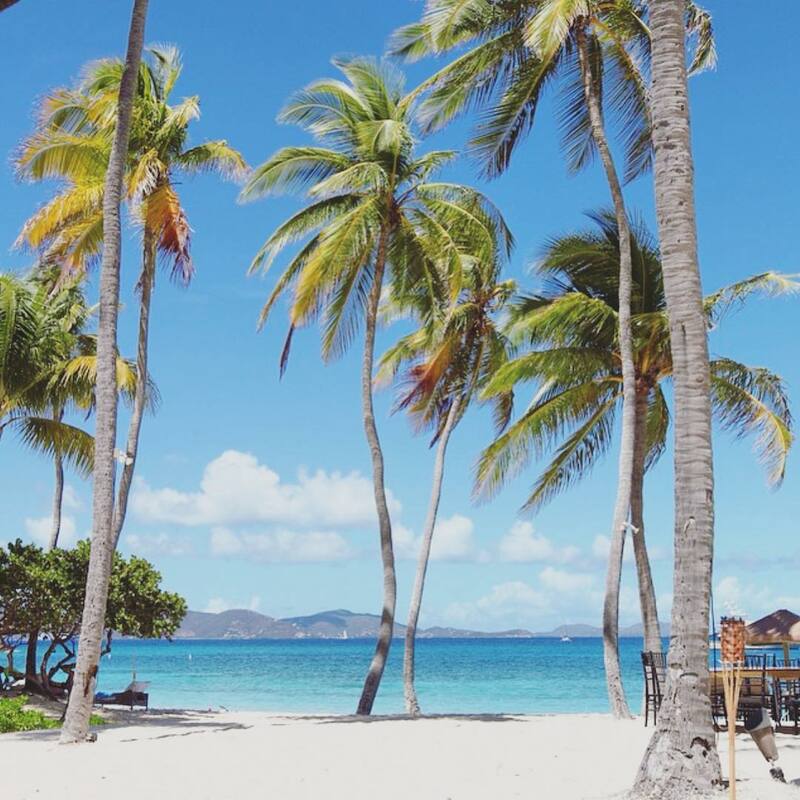 After a quick sail from St. Thomas, you’ll find one of the world’s best beaches in Trunk Cay, part of the U.S. Virgin Islands. Offshore you can snorkel at the Coral Reef Underwater Park Trail, which has underwater signs of the sea life you may encounter. Behind the beach, hiking trails lead into the hills where the ruins of sugar plantations still remain. As it’s one of the top tourist attractions on St John, there’s also a snack bar and souvenir shop close to the beach. Soper's Hole, BVI. Photo by ​@hanhanbvi. Used with permission. 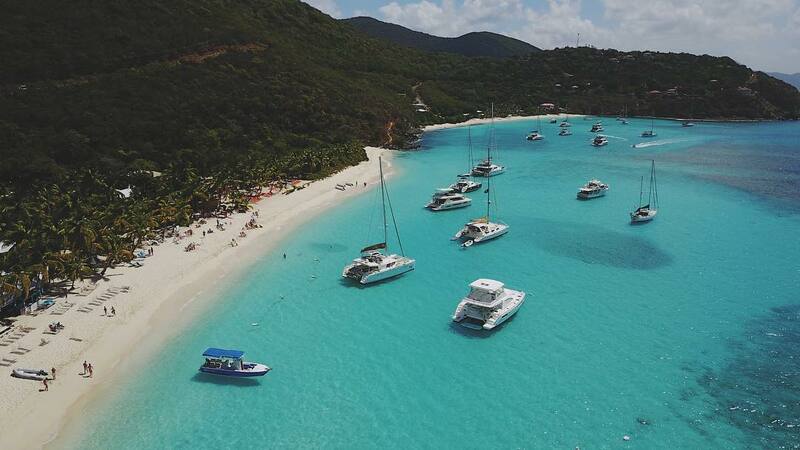 Day two of your yacht charter Itinerary starts with a short trip to Soper’s Hole Wharf & Marina on Tortola. One of the most picturesque and friendly marinas in the BVI, it has a little something for everyone with cafes, bars, shops, and restaurants in bright, welcoming colors. Stop by Pusser’s Landing, a famous local restaurant chain. Its terrace is a great spot to enjoy Caribbean food or try their famous, specialty Pusser's Painkiller cocktail blended with Royal Navy Rum. Approximate Travel Time on an 8 Knot Sailing Yacht or Catamaran: 1 hr. 15 min. Approximate Travel Time on a 20 Knot (fast) Motor Yacht: 30 min. Peter Island. Photo by @hanhanbvi. Used with permission. 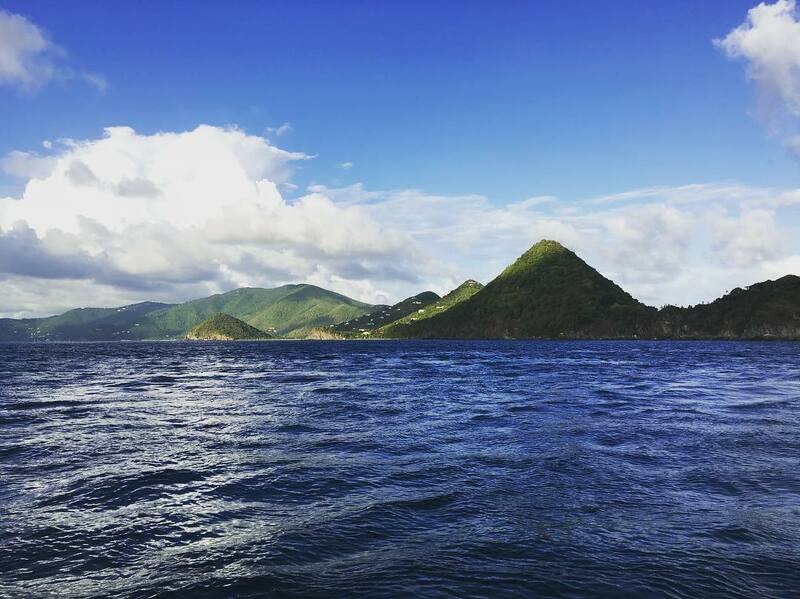 Sailing through the pristine Caribbean waters, you’ll cross over to the Little Sisters, a chain of southern islands in the BVI. Peter Island, the largest of the seven, is a popular spot for yachts and has a number of beautiful beaches to enjoy. Watersports fanatics can kayak, snorkel, or stand-up paddleboard here in addition to scuba-diving amongst the offshore reefs. End your day at the Sunset Loop, a spot on the western tip of the island, admiring the golden color of the sun as it fades behind the sea. Approximate Travel Time on an 8 Knot Sailing Yacht or Catamaran: 2 hr. Approximate Travel Time on a 20 Knot (fast) Motor Yacht: 45 min. The Baths, photo by @alrivera5. Used with permission. 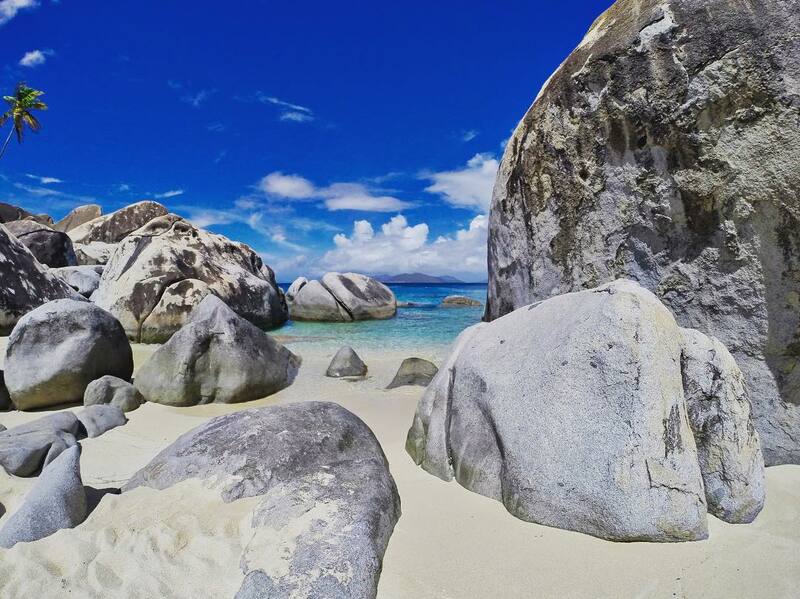 Your next stop is The Baths on Virgin Gorda, a beach full of fascinating geological formations that have formed natural tide pools, tunnels, and caves. Part of Devil’s Bay National Park, this unique natural attraction has become one of the most popular tourist destinations in the Virgin Islands. Swim, snorkel and explore until you work up an appetite. Then head over to Top of the Baths restaurant where fire dancers entertain weekend crowds. Cane Garden Bay. Photo by @hanhanbvi. Used with permission. Pull up a lounger and take in some rays on the beach of Cane Garden Bay. Restaurants and bars line the waterfront of allowing for a relaxed island vibe wherever you go. Unique to Cane Garden Bay is the Callwood Distillery, the oldest Caribbean rum distillery, which makes 80 proof rum from pure sugar cane without any preservatives. Soggy Dollar Bar White Bay. Photo by @hanhanbvi. Used with permission. On Jost Van Dyke, you’ll find some of the best places for refreshing swims, tasty drinks, lively music, and nightlife. Two of the most popular beach bars in all of the Virgin Islands are located here: Foxy’s and The Soggy Dollar, where rum lovers can send each other drinks via their Drink Board. 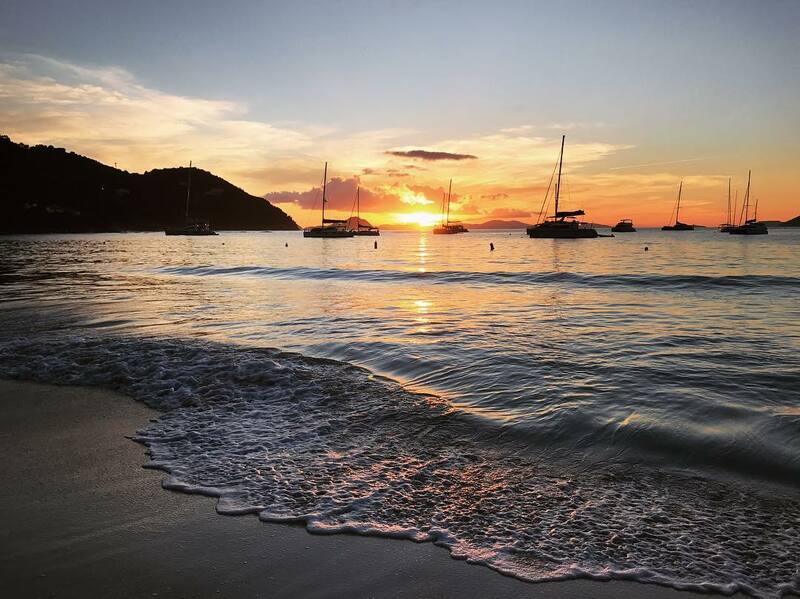 If your yacht charter is scheduled through New Year’s Eve, be sure to end up at Jost Van Dyke’s Great Harbour when boats of all sorts descend on the island to celebrate with a huge, rowdy party. Approximate Travel Time on an 8 Knot Sailing Yacht or Catamaran: 1 hr. Maho Bay Beach, St. John, USVI. Photo by @ericgolda. Used with permission. 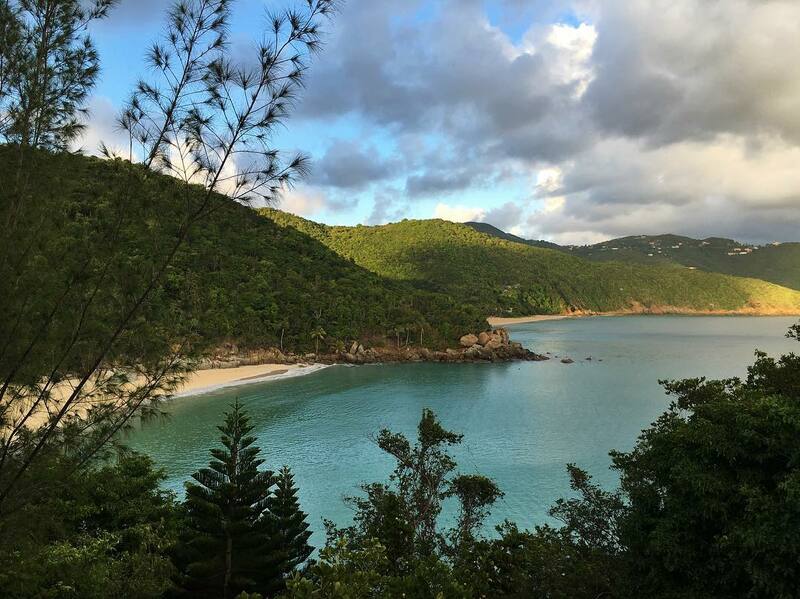 Visit the lush landscapes of St John’s Virgin Islands National Park, which covers nearly all of the island. Hiking trails wind their way through the vegetation and down to the pebble beaches. There are even ancient petroglyphs carved into the rocks along the Reef Bay Trail. 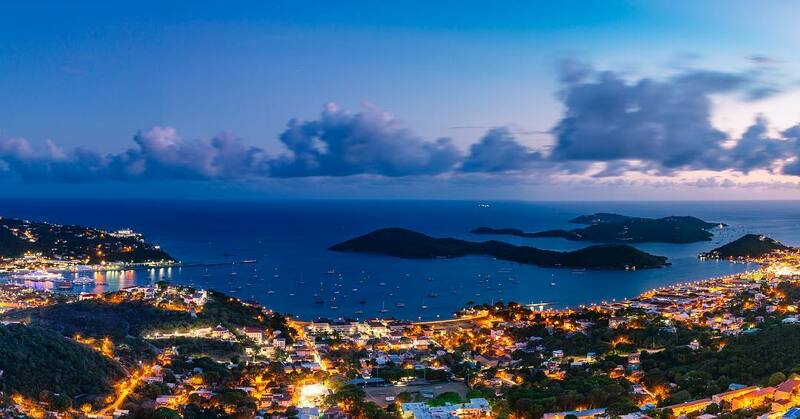 Aside from its natural and historical attractions, you can also find fine jewelry shops, upscale restaurants, and luxury hotels on St John. St. Thomas Harbour. Photo by @ericgolda. Used with permission. The end of your BVI and USVI Yacht Charter itinerary takes you back to the island of St. Thomas in the USVI. Here you can find vintage warehouses filled with sailor supplies such as rum, spices, and molasses. For a livelier atmosphere, take a walk around the Yacht Haven Grande for shopping, great restaurants, and a view of all the beautiful yachts docked at the marina. Now that you’ve seen a sample itinerary, start looking for a boat! Find more useful information for your BVI yacht charter itinerary in our best-of lists: 7 BVI Best Beaches You Can’t Miss, 9 Super BVI Snorkeling Spots for Your Sailing Charter, and 5 Best Scuba Diving Yacht Charter Spots.